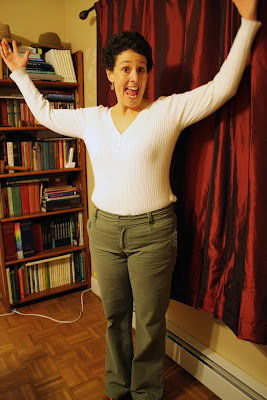 Soaking in mustard: Wearing those pants again! Very excited about being able to wear, button AND sit down in these pants. I mentioned them a while back in this post. Just a pair of Old Navy pants but so happy to see my waist again. Can you relate to my bliss? I kept them hanging on a hook in my closet as a constant reminder and incentive on the days I didn't want to work out.